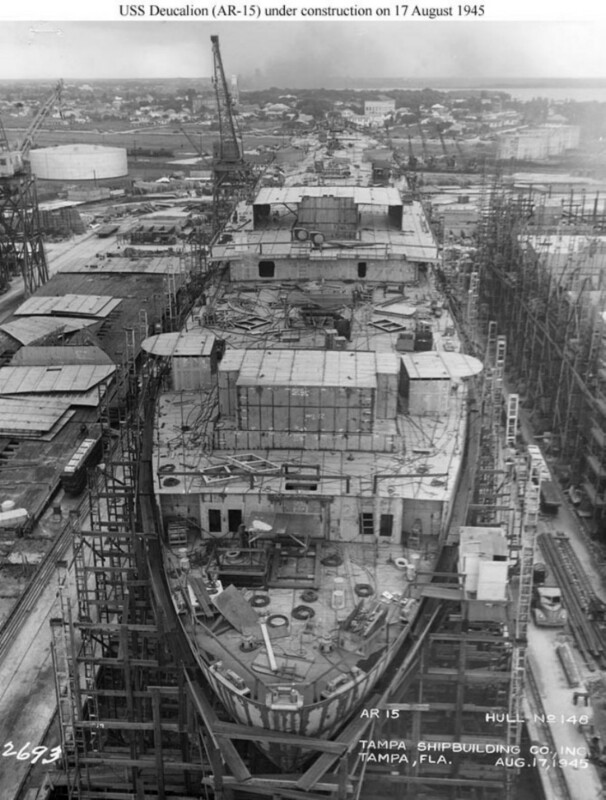 Laid down, circa 1945, as a Maritime Commission type (C2) hull, under a Maritime Commission contract at Seattle-Tacoma Shipbuilding Co., Tacoma, WA. 255k Deucalion (AR-15) (center) on the building ways at Tampa, FL., 17 August 1945 and Mars (AR-16) (right) in a less advanced state . This photo show their state of advancement when construction was canceled on 12 August. Prefabricated material, some of which is visible on the left, was also laid out in platen areas near the building ways for both ships.